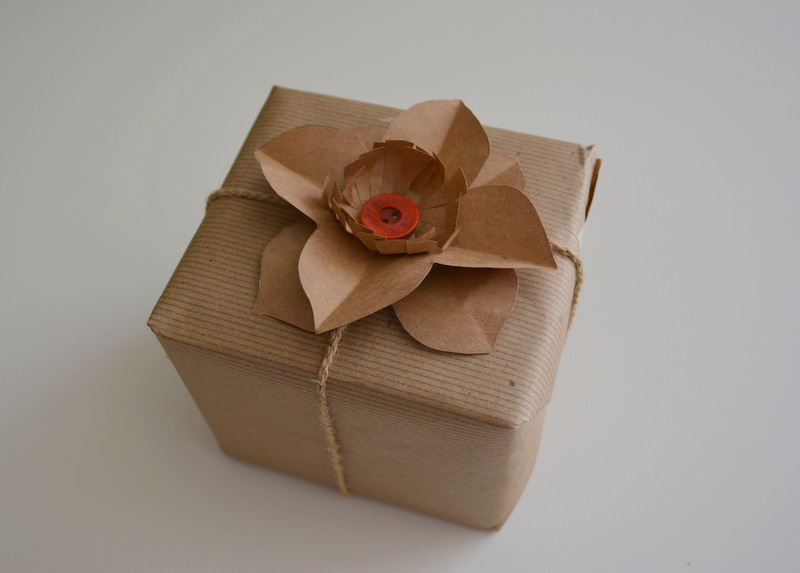 My friend Alicia from Arty and Crafty Little Things is hosting on her blog A Month of Flowers all this month. Every day she shows us a flower craft project created by her or by a contributing blogger. I have been having so much fun and getting so much inspiration from all of the great projects that she has presented. And when she asked me to contribute I was totally on board. 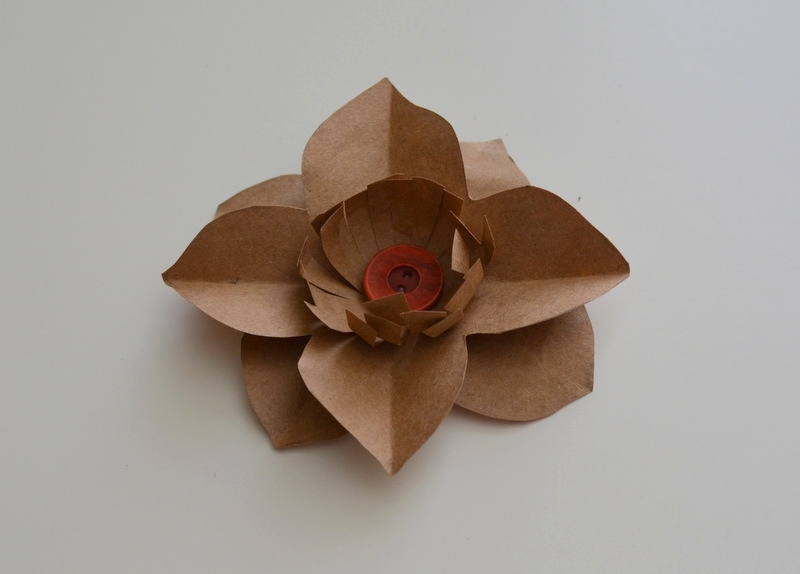 I made a flower with upcycled paper from a brown paper bag (like the ones they put your groceries in at the supermarket). I try to carry my reusable bags when I go shopping, but sometimes I forget them and I end up coming home with a bag or two. So instead of just throwing them in the recycling bin I try to reuse them as much as possible. This is a super simple flower that you can use to embellish a present or make a few, attach them to a ribbon and make a lovely garland. 1. Draw a 4 petal flower approximately 4 inches from end to end. Don't worry is doesn't have to be perfect. 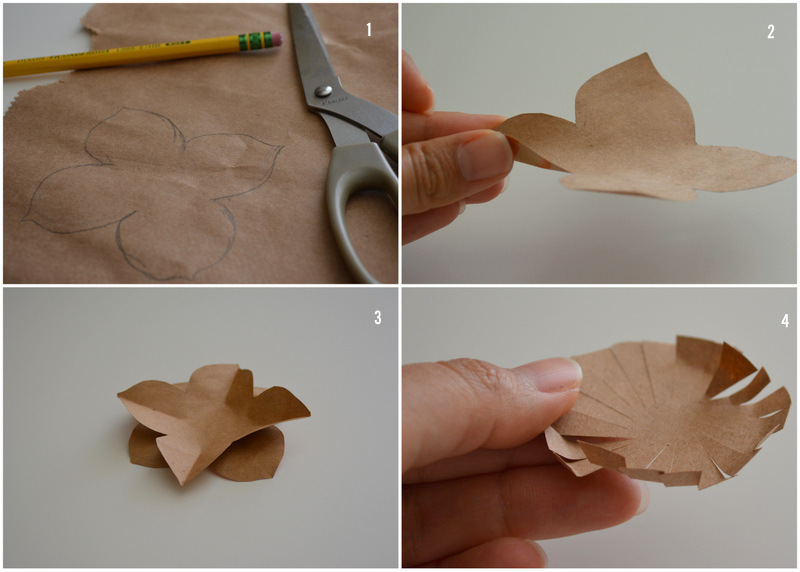 Cut your flower and use it as a template to draw a second one and cut. 2. Fold each petal in the middle without folding all the way to the center of the flower. 3. Using hot glue attach the two flower as shown in the picture. Set aside. 4. Draw a 2 inches circle and cut. Make small cuts from the edge to the center making sure yo don't cut all the way to the center of the circle. Using your fingers curl up the edges. Glue to the middle of the flower and finish off with the button in the center.